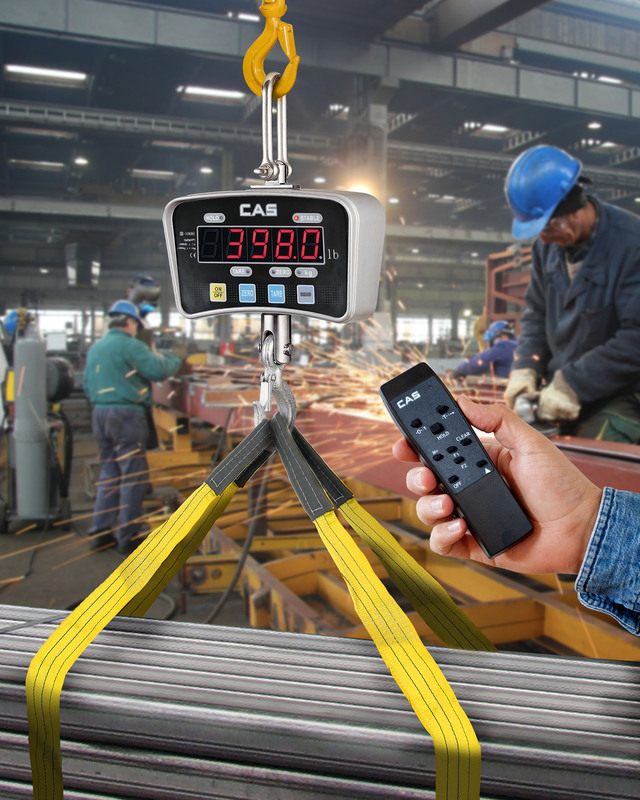 A fully portable crane scale that combines a wireless remote and battery operation to perform a variety of weighing jobs around metal fabrication shops is available from Alliance Scale, Inc. of Canton, Massachusetts. The Alliance/CAS IE Series Crane Scale is totally self-contained and has a sturdy aluminum die-cast case, rugged hooks and shackles, and operates up to 50 hours on a 9V battery. Suitable for shipping & receiving, plus other material handling jobs, this versatile crane scale features a wireless remote control and easy to read 1.1” 5-digit LCD or LED displays. Providing a 32 ft. operating range, the Alliance/CAS IE Series Crane Scale has function keys for power, zero, tare, and hold. Offered in five models with 100 x 0.05 lbs., 200 x 0.1 lbs., 500 x 0.2 lbs., 1000 x 0.5 lbs., and 2000 x 1.0 lbs. capacities, these wireless remote scales have low battery and overload indicators. An AC adapter is also included. Alliance/CAS IE Series Crane Scales are priced from $565.00. Pricing is available upon request or online at www.alliancescale.com.